Come Bid on Beautiful Quilts to support a wonderful charity! and improve a better life for families and communities. Information about quilt showing above. Quilts can be previewed Thursday and Friday, May 2nd and 3rd, in the Marketplace. 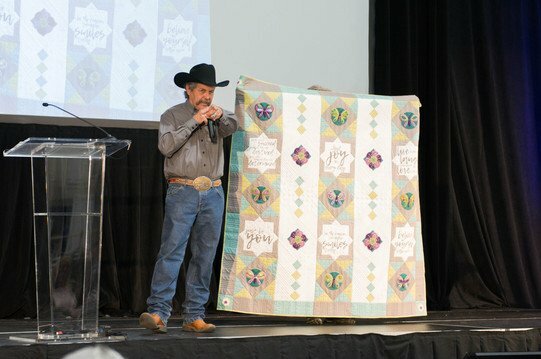 In 2017 our auction raised over $10,000 and 100% of this money went to Sew Much Hope.